I have always been a littler jealous of dogs for being able to feel so free to just be themselves. Honestly, I think I have lost track of whatever beast may be inside me. As a human I learned a long time ago to tame it and put it away, probably forever. But maybe it's something else my dog can teach me. Im just jealous that my my dogs can get over stuff so quickly with no lagging emotions. 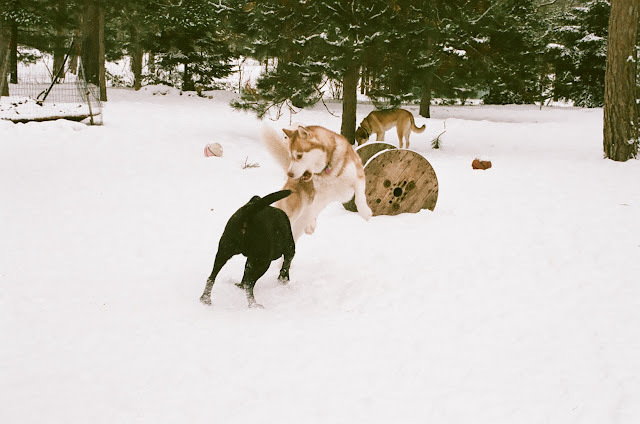 I just love watching Sisko and Juno being what they are and enjoying the freedom of being a dog. Oh, I so agree! What a wonderful gift to watch them be free, and the same for us as well! We can certainly learn a lot from watching our furbabies indeed. Wish i could let Maxx off leash too at times, it's just so wonderful to see him run free and just be a dog! Nothing better than doggie playtime! !